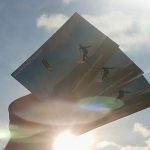 How kitesurfing kites work, how you pilote them, how you control the power, how you launch and land them, how the safety systems work, and most important how you keep yourself safe and everybody around you. 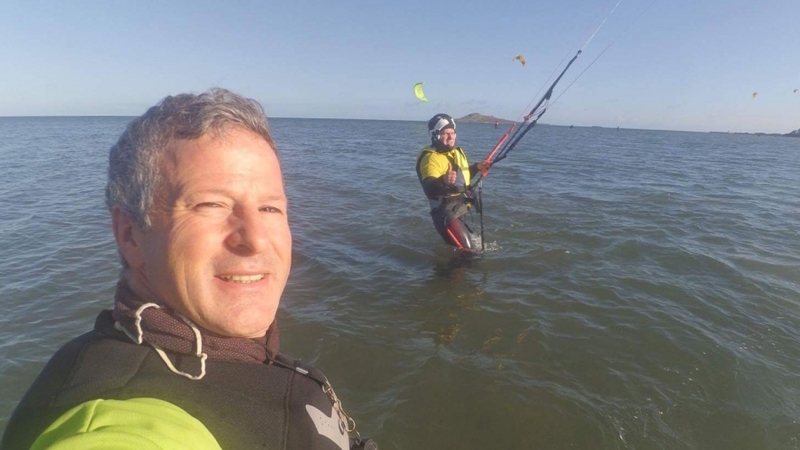 It is a land only lesson, but you will be flying kitesurfing kites, so it is the real deal. 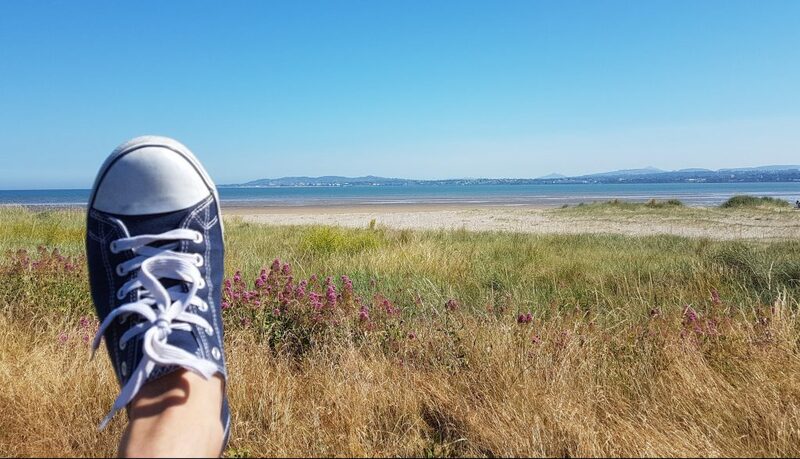 €50 ONLY to change someone’s life! 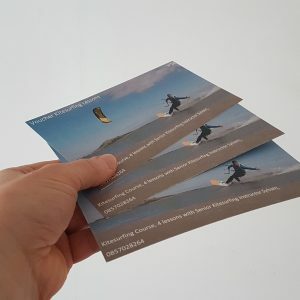 A Gift Voucher to give a special friend a taste of a powerfull kite in the water! €90 to make someone special very happy! 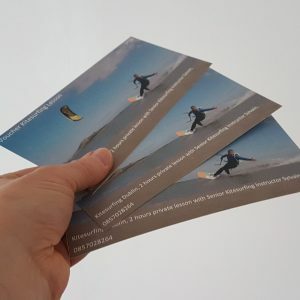 It is the best Kitesurfing Voucher as it will make your special one an Independent Kitesurfer! 4 lessons of 3 hours when there are 2 students, 2 hours when there is only one student. 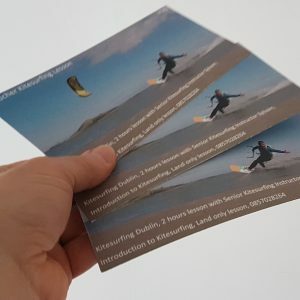 I will make sure to give all the skills and knowledge needed for a safe practice of Kitesurfing. €300. It is a beautiful gift and will make someone special very thankful, so don’t hesitate! Wind speed and kite wind range. When you arrive at the beach, you will have to choose what kite size you are using and this will depend on the power of the wind. Many kitesurfers, if you were to ask them what the wind power is like, might answer to you in terms of knots, meaning the speed of the wind. 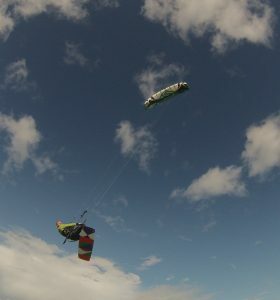 We usually need at least 12 knots to kitesurf (with a twin tip), and even then with a big kite (over 11m²). 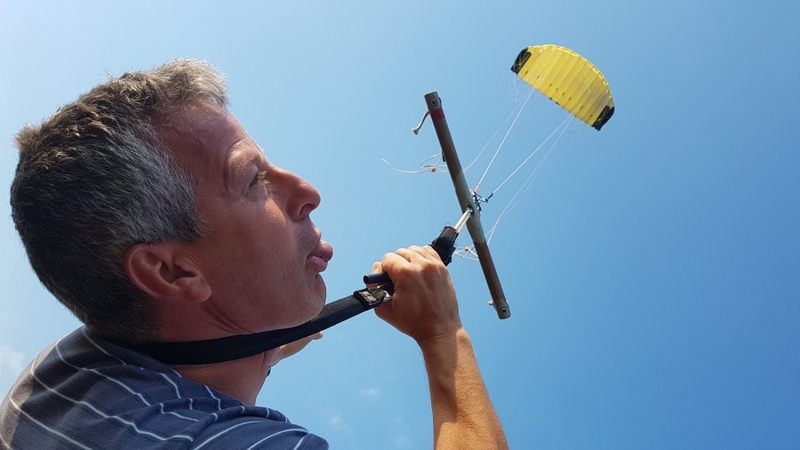 Kite manufacturers give wind range with every kite they sell. This wind range indicates the speed of wind the kite should be used for. For example, a 12m² kite can be used in wind ranging from 12 to 25 knots. At the beginning it is not easy to guess the speed of the wind, and you will probably buy an anemometer to know how many knots the wind is travelling. With this knowledge and knowing the wind range of your kite you will think that you can’t make any mistake, right? well it’s not that easy! In kitesurfing, you will hear the word power a lot. I was overpowered, I was underpowered, I had too much power, not enough power. 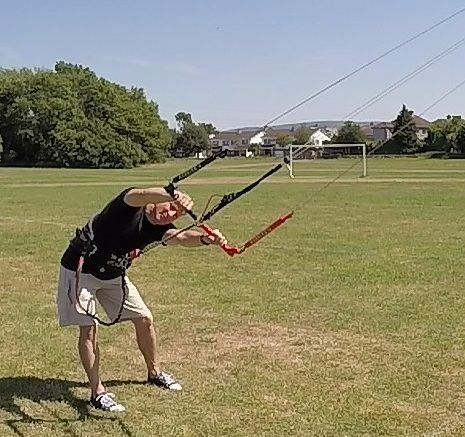 Power is the amount of pull you get from your kite. 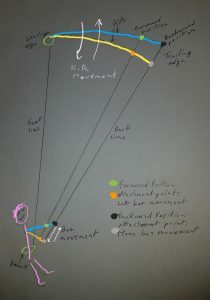 You are connected to your kite by a control bar system, this is a system of front lines and back lines. 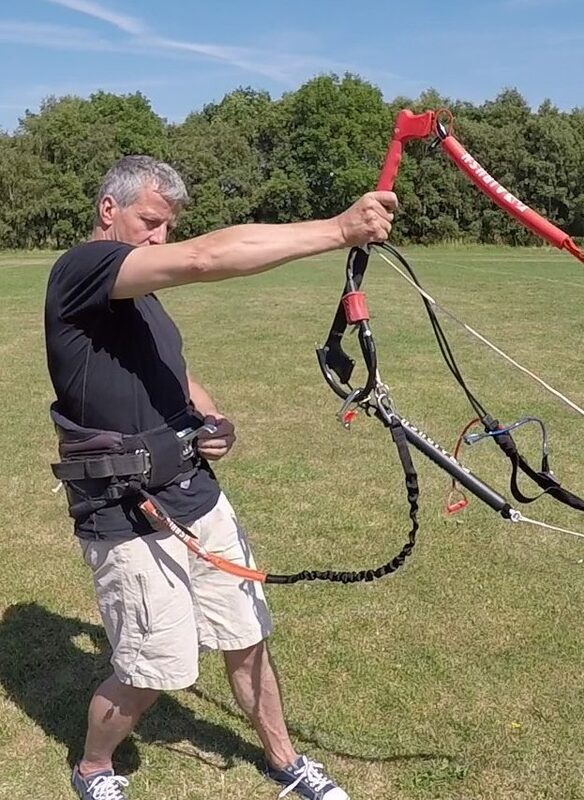 Front lines connecting your harness (meaning your body weight) to the front of the kite. 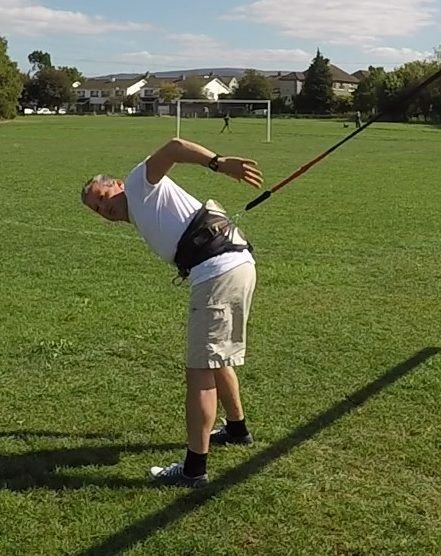 Back lines connecting your bar (meaning your arms) to the back of the kite. When your kite is in the air, it creates tension on these lines. 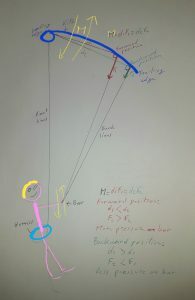 The two forces creating this tension are the lift and drag that the kite is getting from the wind going through the kite. 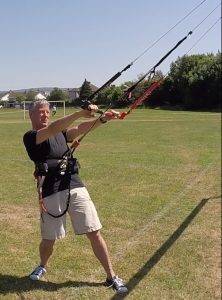 By flying the kite in your wind window, you will get more lift and drag, meaning more tension in your lines, and therefore more pull (power) from your kite. With the right kite size, when your kite is in the neutral zone of your wind window, the pull from your kite should be manageable, you should be able to walk upwind without too much effort. We can see then, for a given kite size (S fixe), and for a given kite shape and kite angle, the power not only comes from the speed of the wind, but also the density of the air. And this density depends on temperature, humidity and atmospheric pressure which are changing all the time. This means than even if the wind speed might be the same in two different sessions, wind power may be different. You may also add to this, how gusty the wind is (or is not). Lift and drag are not only functions of wind speed, but wind speed squared, it goes exponential as speed increases. 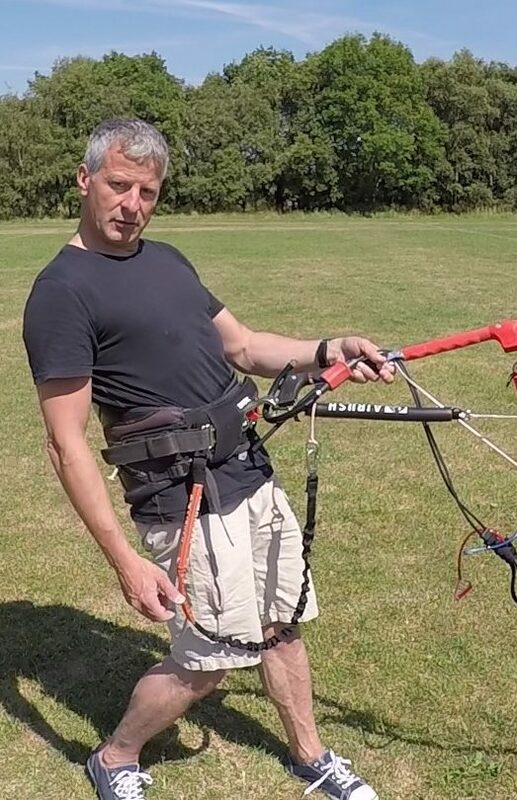 On the top of all this, the lift you are getting from the board (yes you get lift there too, lift and drag in fact) is going to influence the power you need from your kite. The size of the board, the speed you can get from it, the density of the water too. Surfers will tell you that the weight of the waves will be different from summertime to wintertime. In flat water, you will get more speed, meaning more lift from your board, the same as in cold water. This means that you won’t need as much power from your kite, and therefore a smaller kite may be enough. You will also get more lift from salt water than from fresh water due to the increase in density caused by the salt. This means that here too, the power you get from the water is going to be different from one session to another. 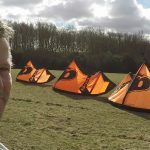 So how do we choose the kite size we need? 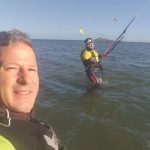 You will only know how powerful the wind is when your kite is in the air, and you will only know how powerful the conditions are when riding your board on the water. 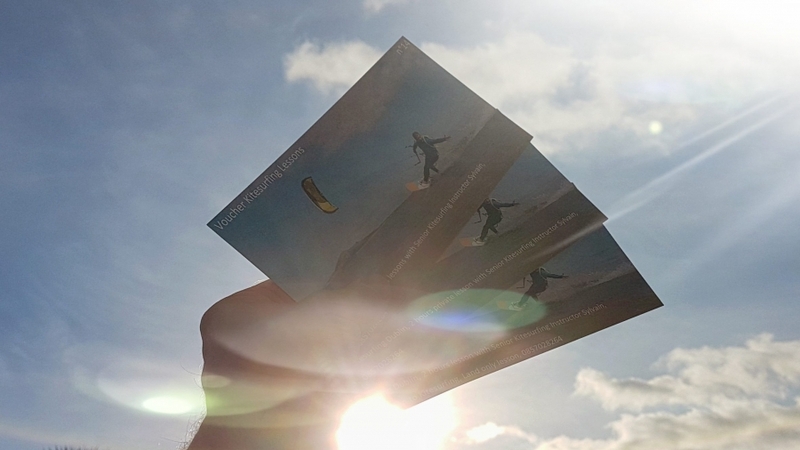 There are just too many things influencing the power you will get from your kite and the lift you will get from your board to just try guessing. Of course, the more you practise the more you will get used to the conditions and the place, and the more familiar you will become with all these variables. With experience you will remember what kite size suited previously and be able to use your experience to judge all these variables. 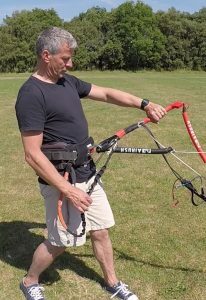 Experience will tell you that in winter time, you will be able to manage with a smaller kite than in summer time even if the conditions feel pretty similar. But in the end, it is really only when you are in the water, on your first ride that you will know if you have made the right choice. The ones who know how powerful the condition are, are the kitesurfers in the water. You need to check what kite size other kitesurfers are using. If everybody is using 9m², there is a good chance that a 9m² is perfect for these weather conditions. Because that is what you are looking for, the kite size for the weather conditions, and not the kite size for the wind speed. 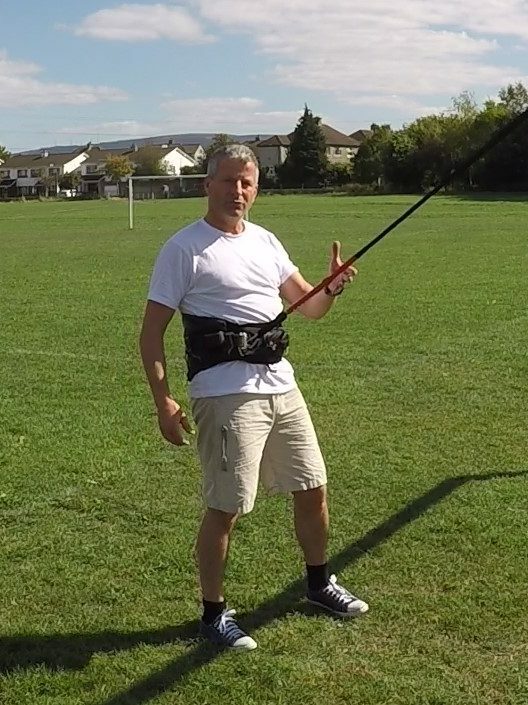 A good idea is to have binoculars with you to make it easy to see the size on a kite. You will also be better able to judge how other kitesurfers are managing. Are they being overpowered by their kite? 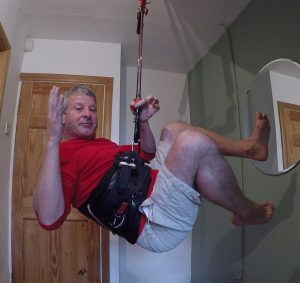 Not looking comfortable at all, not able to do any tricks, with the control bar high. Are they under power? They are unable to go upwind. Are they moving the kite a lot (meaning that it is really under powered; moving the kite creates wind to stop the kite falling in water). Or are they nicely powered? big smiles on faces. 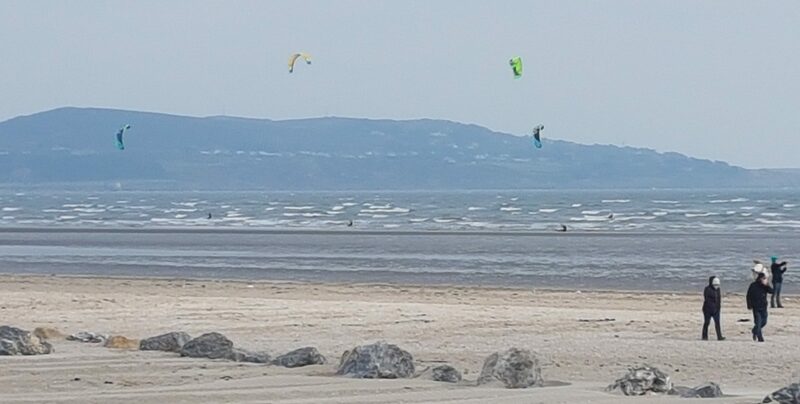 Are they well powered, some kitesurfers are jumping very high. If someone is coming back from the water, don’t be afraid to ask them how they found the conditions. 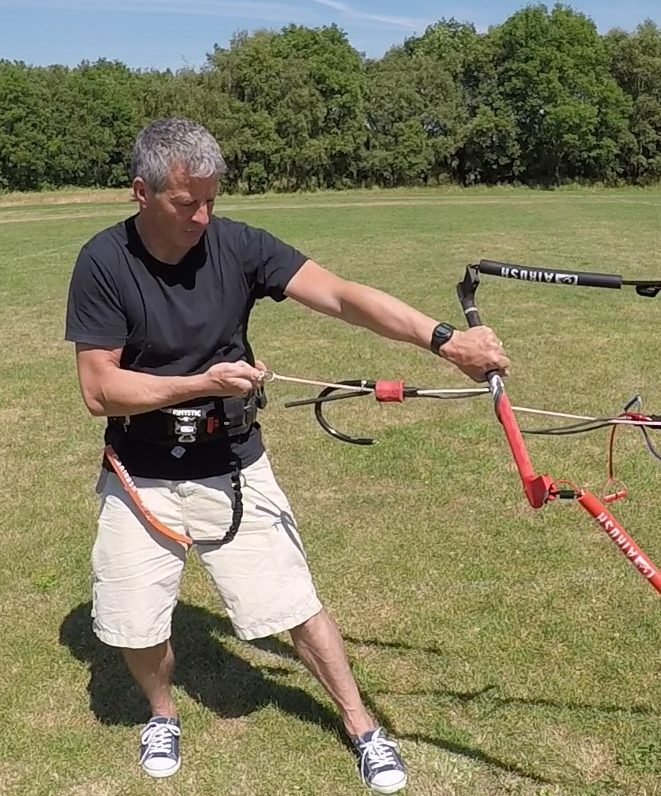 For example when you are giving them a hand for landing the kite. And ask how it was. If he or she tells you it was perfect, check their kite size. Of course, check if you are similar weight, similar size of board, and similar type of kite. You only can compare what you can compare. But be careful, wind can change. 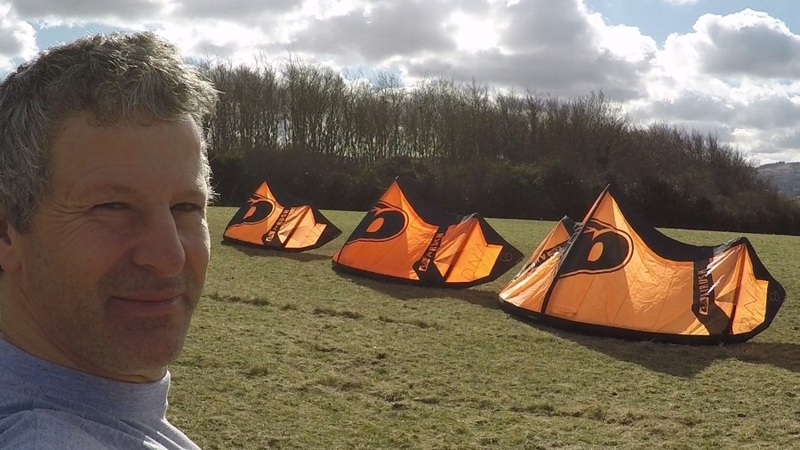 Just because one kite size suits the conditions now doesn’t mean that it will suit the conditions in 20 minutes time. when you are ready to go in the water. You always need to keep an eye on the wind. Of course, it almost goes without saying that if someone is much bigger than you, you will need a smaller kite than them. 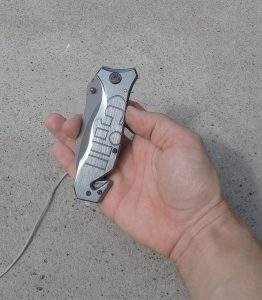 If someone is much smaller than you, you will need a bigger one. But be careful because, a bigger person will usually have a bigger board, and a smaller person, a smaller board, meaning their kite may be good for you too. If someone is not using the same type of kite as you (a more aggressive one than you for example), the size they are using may not be any help to you. If someone is not using the same type of board as you, think twice. If they are using a surfboard, they will need a smaller kite than you. If they are using a foil board, they will need even smaller kite. If nobody is in the water. 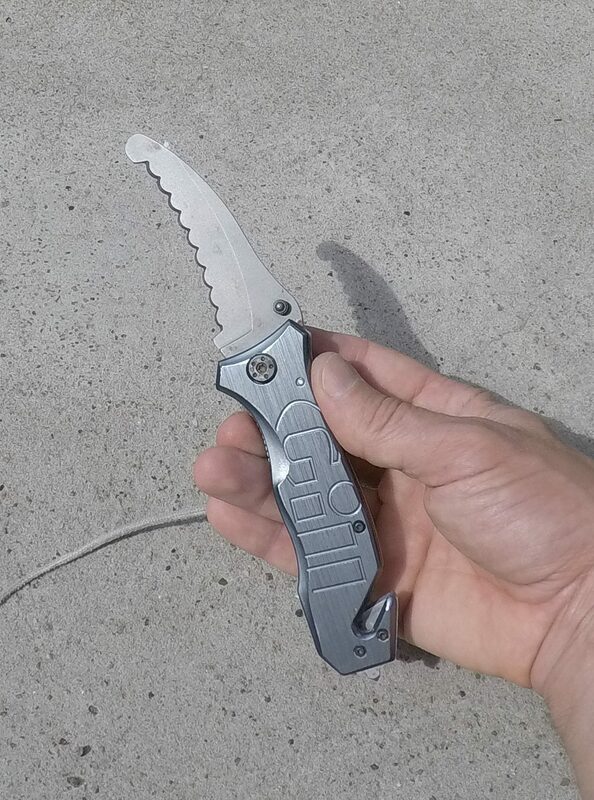 If nobody in the water, you will usually hesitate between 2 sizes. You should always play it safe and choose the smaller one. You can always change for the bigger one if you need to. Know your materiel, some kites have a bigger wind range. If you live in a place where weather is unpredictable and changes a lot, go for this kind of kite. You will have less chance to pick the wrong kite. And you will still manage when others will need to change kite. With a kite, you will have different settings. One working better for light wind, another one for strong and gusty wind. You can try them and see, every kite is different. To make it short, there are different points where you can attach your back lines, some closer to the tip of the kite, some more further away. 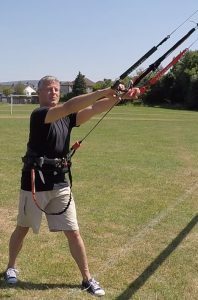 Forward position attachment point: less bar movement, better for strong wind. 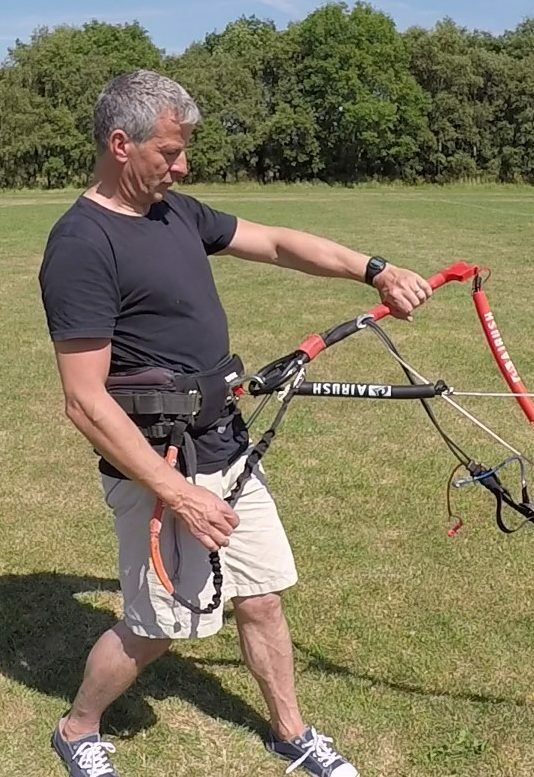 When the attachment points are further away from the tips, you don’t need to move the bar as much to change the angle of the kite. This means that in strong and gusty wind, you won’t need to move the bar as much and controlling the kite will be easier. 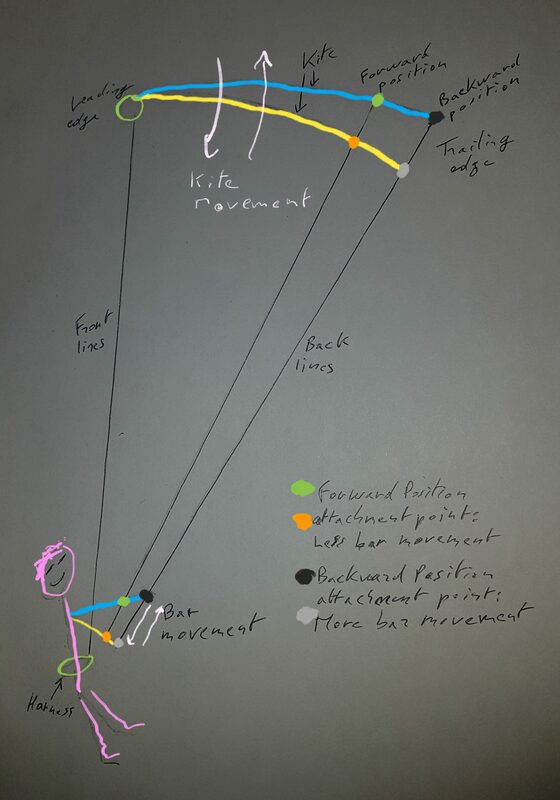 It also changes the force you need to apply on the bar to maintain or change the angle of the kite. 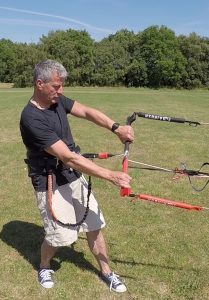 Your kite is rotating around an axis, located around and between the two front lines. 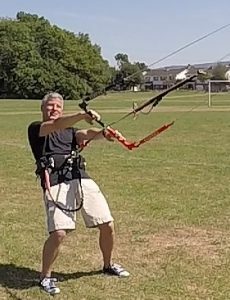 And your back lines make the kite rotate around this axis. To rotate the kite you apply a moment of force with the back line. 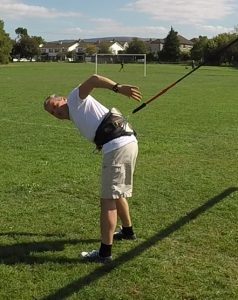 This is the force applied on the back line by the distance between the back-line attachment point, and the axis the kite is rotating around. In any given condition, the moment of force needed to rotate the kite stays the same, no matter what back line attachment point you are using. But moment being distance by force, the more you increase the distance, the less force that is needed, and in contrast the more the distance you decreased, the more force is needed. 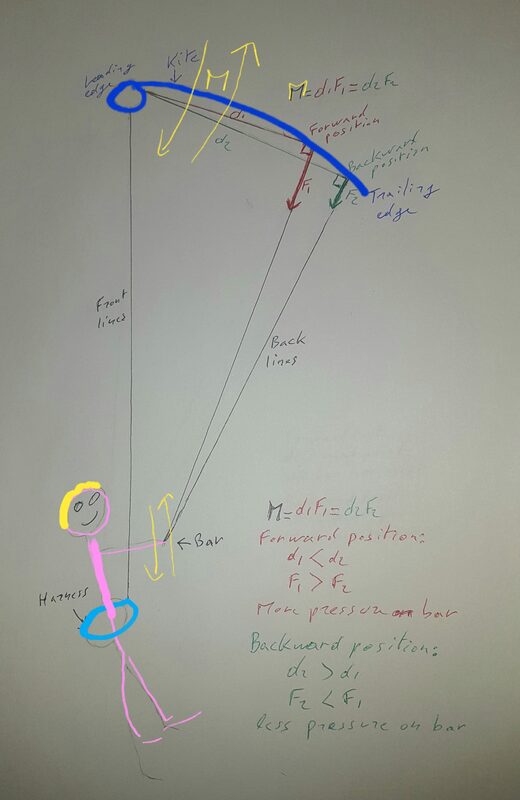 This explain the harder pressure on the bar when attachment points are further away from the tip. 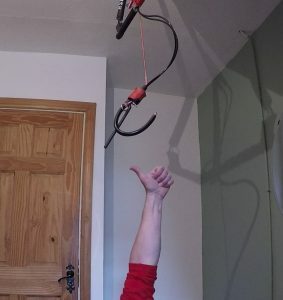 This is good for strong and gusty conditions. 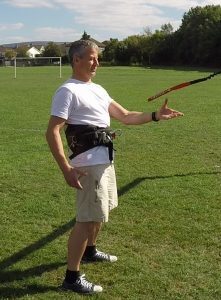 You want a kite harder to rotate, not moving as much in strong conditions. Moment of force equal distance d by force F you apply on the back lines. That explains bar pressure change with different setting. 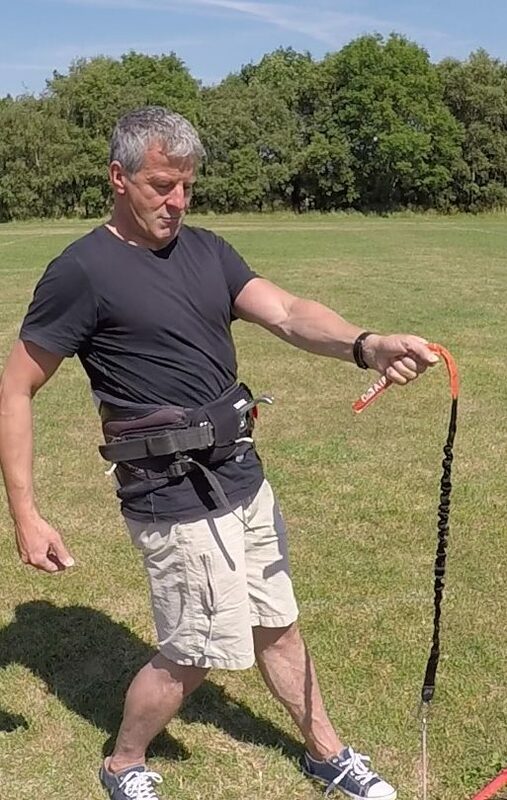 And finally, where your back line attachment points are fixed will change the amount of drag your kite is getting when you send it one side or the other. 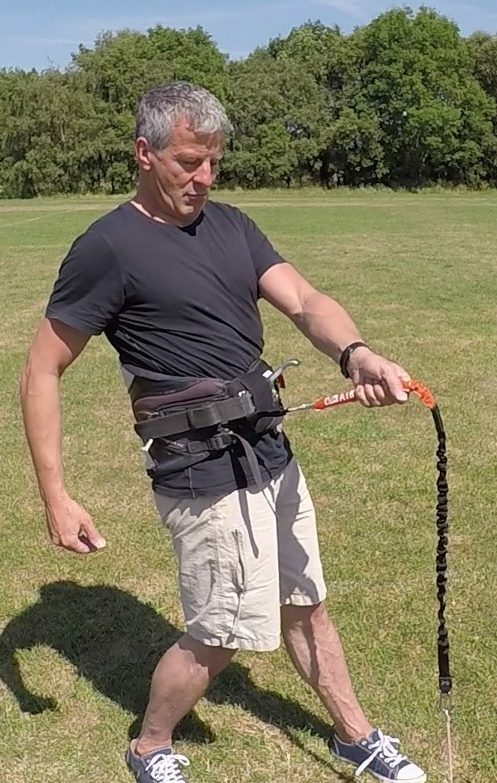 With the back lines attachments points closer to the tips, for example, your kite will get a lot more drag on the side being pulled and a lot less drag on the other side, making your kite turn sharper and faster, easier to send inside the wind window, which is great for light conditions. Line length: With shorter lines, you will manage better in strong wind. 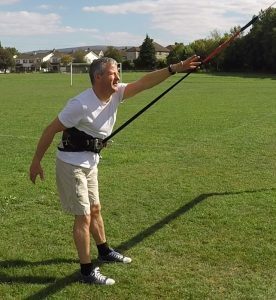 It will be easier to bring the kite back to the neutral zone where there is less pull from the kite. But it won’t be as good as changing to the right kite size. Foil kites: If you have a foil kite, you can change the profile of the kite using the mixer or speed system. This is a pulley system connecting the kite bridle with the lines of the control bar system. 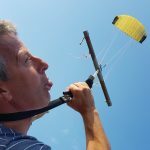 You can give your kite a more powerful profile if you are underpower, or a profile less powerful if the wind is too strong or/and very gusty. 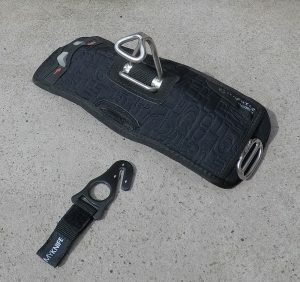 To have a great kitesurfing session is to have the right kite size. Too big a kite will be uncomfortable to pilot, not much fun, and could even be dangerous if you lose control. 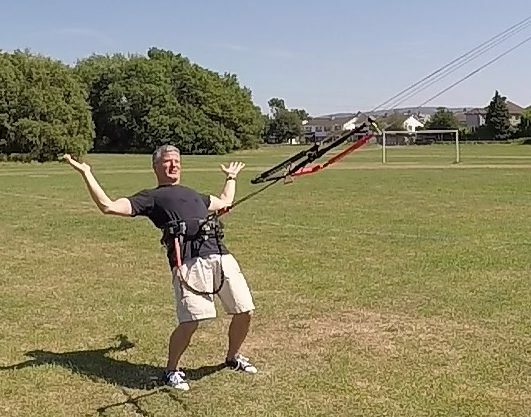 Too small a kite won’t allow you to go upwind. You know now than it is not so easy to get it right. 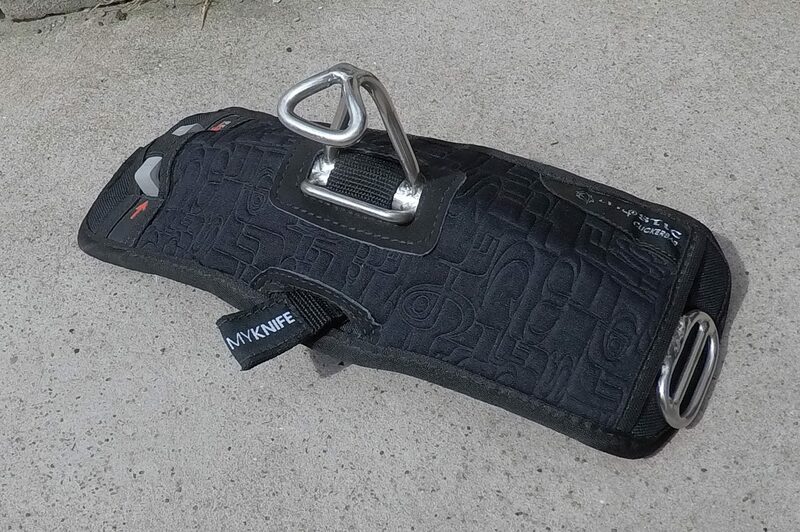 It is why, always have these kitesurfing safeties in the back of your mind when you launch. Because only when your kite will be in the air, you will know you did the right choice. (to read another blog of mine about kitesurfing safeties, click here).